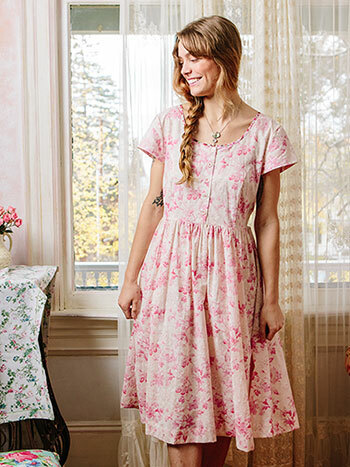 I love prairie style because it transcends time and place in such a hopeful, beautiful fashion. 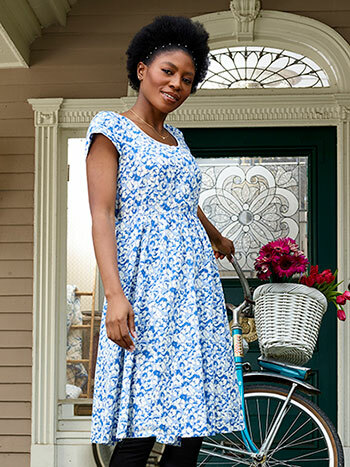 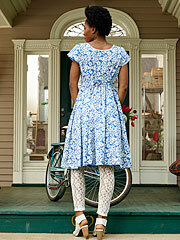 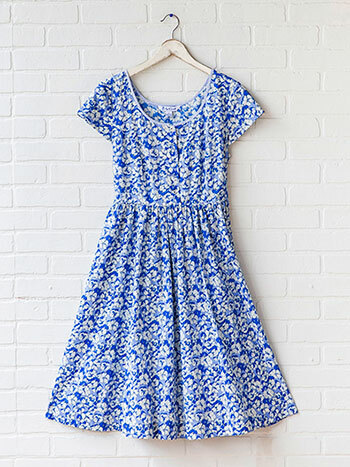 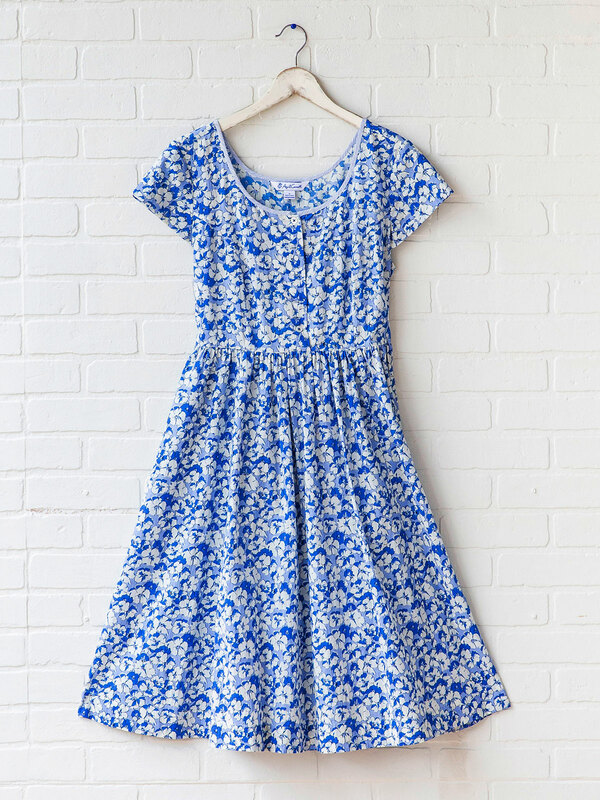 The Margaux Porch dress is a veritable field of flowers in a bed of cotton that's guaranteed to make your heart smile. 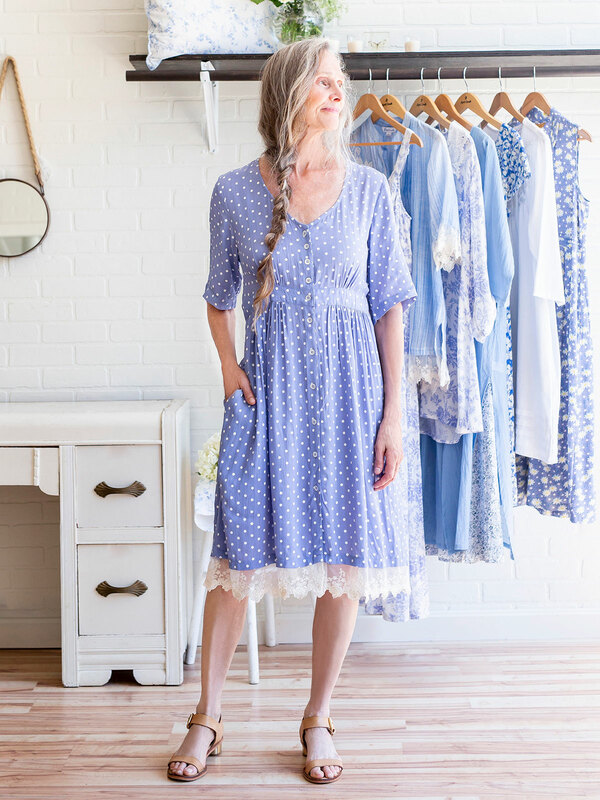 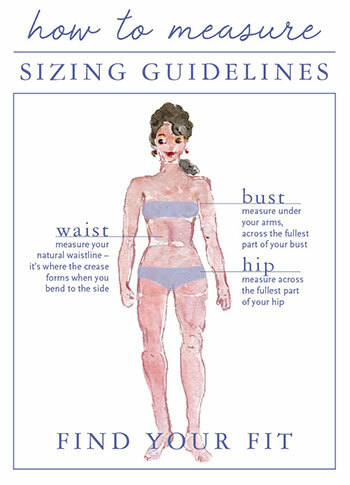 Lightly shaped in the body and gathered below the waist for a free flowing silhouette, self fabric ties insure a perfect custom fit.